Scentsy Consultant Training! Trainining Videos Included! So you want to join Scentsy or maybe you already have! 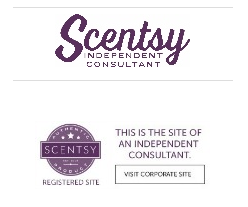 Here is my Scentsy Consultant Training page. This is the go-to place for launching your own successful business! Here is the link to all of my Training Videos if you don't want to read and prefer to watch! This is your title when you join Scentsy. At this level, you are paid 20% commision. Once you have sold 1000 PRV(Personal Retail Volume) which is nearly dollar for dollar of what you sell you can promote to the next level. See below on how to get to the next level. Here are my top 3 steps to getting your business moving as a new Scentsy Consultant! You are asking yourself now what...? Don't worry I am here to guide you through the next steps to make you a successful business owner. In my Scentsy Consultant training videos, you have heard me tout that Scentsy sells itself because it is such a great product! Yes, that it is true! However, it is your job to get people to know about it if you don't tell the world that you are a Scentsy Consultant the products will never get their chance to "speak" to the customer per say. So how do you give the products a chance to "speak"? Step 1: Announce it on Social Media! Facebook has 1.45 billion users that log in every single year. Whoops! I meant 1.45 potential customers that log in every single year. Instagram has 500 million daily customers! 330 Million customers use Twitter every day! The best part about all social media is that it is FREE! So take the first step and login or create accounts on popular Social Media apps and announce that you are in fact a Scentsy Consultant loud and proud so everyone knows! This might seem silly but let your friends and family know that you just started your business. You would not believe how many people are looking for a Scentsy Consultant and did not know there was one in their area or that they have a "girl" but she lives far away and shipping takes too long. Word of Mouth (WOM) is to this day the greatest marketing tool. This is what I call a "Freemium Application" Why? Because it is FREE to talk to anyone about your business! This business is all about your ability to communicate effectively with people about the products that you sell and make sure that as many people as possible know that you are doing it. Step 3: List your business on Google Maps! Once you have listed your business make sure to fill in all relevant information and be sure to add pictures of new products and promotions! The more content you add, the more relevant you become! It is that easy! Your pay is now 25% commision! Congratulations! It is now time to start building a team! $2,000 can be tough to do every month all by yourself, so why not build a team that can help you earn that faster and much easier! I have created this video for you to help you understand what you need to do in order to be a successful recruiter.